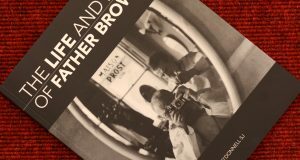 Yale University Press is to publish a major work on Jesuit photographer Fr Browne. 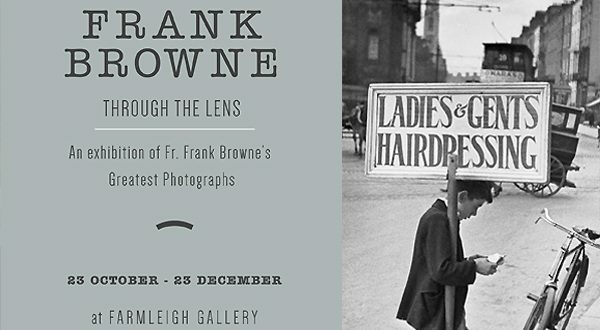 Frank Browne, A Life Through the Lens will be launched Sat 1 November in Farmleigh Gallery, along with major exhibition of hundreds of his photos via Davison associates. They believe the book and exhibition will position him in his rightful place as one of the twentieth century’s great photographers. Minister Joan Burton will launch the book and exhibition, and historian John Bowman, RTE, is the guest speaker. Edwin and David Davison represent and market the Fr Browne Collection for the Jesuits. Building on the excellent work of Fr Eddie O’Donnell SJ (who has contributed to the Yale book) and his many books on Fr Browne, they have been working with Yale University Press on this definitive publication of Fr Browne’s finest artistic works. The pictures in the book and exhibition convey something of the remarkable talent of a man who was to emerge as the most significant Irish photographer in the first half of the twentieth century. Frank Browne took his first photographs during a European tour in 1897, just before joining the Jesuits. 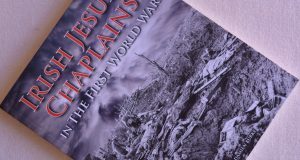 In 1912 his Titanic photographs brought international fame and by 1916 he was a WW1 chaplain to the Irish Guards and arguably one of the first war photographers. 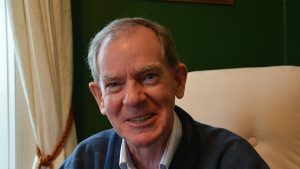 His life and work as chaplain was the subject of a recent and warmly received documentary on RTE television. 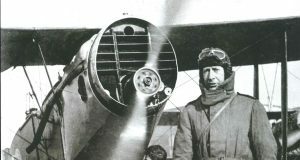 In 1921 took his final vows, and still suffering from war wounds, he went to Australia to recuperate and made a superb series of photographs of life in that country. On his return to Ireland he continued to record aspects of Irish ways of life both personal and corporate which, when added to his pictures in South Africa, Sri Lanka, Egypt, Spain and England constitute a fascinating interpretation of a rapidly evolving world. He was active in the photo-exhibition world and wrote articles for “The Kodak Magazine”. During this time he made 41,500 negatives. He died in 1960 and his work was largely forgotten. In 1985 Fr. Eddie O’Donnell SJ. came upon the trunk containing the negatives and quickly recognised that the pictures were exceptional but in many cases were deteriorating. This necessitated urgent action to conserve, duplicate and catalogue the entire collection. Edwin and David Davison of Davison and Associates carried out this work and now market the collection worldwide. Their major exhibition of his work will be on display in the Farmleigh Gallery, under the auspices of the OPW and the exhibition will run until the 23rd of December.